So you’ve decided to start your 2019 fitness journey. You’ve joined a gym, invested in a home gym, or even just bought some fancy new trainers. You may have even set lofty goals, entered a race or two, and have all the intentions in the world to carry this out. That’s a great start. That’s action and progress. Congratulations! However, if you want to be a part of the 10% who actually stick to their New Year’s resolutions, you need to have a working plan of action. And like all action plans, you need to know your starting point. Too often, people’s goals are unrealistic—they are admirable, yes, but more fantasy than reality. Goals are an important part of accomplishing anything, especially in fitness. Without goals, there is nothing to work towards. But, in order to accomplish goals, we need to establish the truth, and sometimes, the truth hurts. Fitness Incompetence and The Dunning-Kruger Effect. We are all susceptible to the Dunning-Kruger effect. Each and every one us. The Dunning-Kruger effect is a type of cognitive bias in which people believe that they are smarter and more capable than they really are. Essentially, people with low ability in a particular skill set do not possess the skills needed to recognize their own incompetence. We see this in fitness every day. Everybody is a fitness expert, it seems. Dunning-Kruger found that incompetent people are not only poor performers, they are also unable to accurately assess and recognize the quality of their own work. Moreover, they are unable to recognize the skill and competence levels of other people, which is part of the reason that they consistently view themselves as better than they really are. It’s a fact that people tend to overestimate their own ability and knowledge and are incapable of seeing the deficits in their own performance. Thanks to the Dunning-Kruger effect, a person may have the slimmest bit of knowledge about a subject yet believe that he or she is an expert. Meanwhile, true experts often underrate themselves – they’re so knowledgable on the subject, they can see how much they don’t know. This is why we need to uncover the truth when it comes to your health and fitness, and it needs to be done in a non-biased format. The truth about your own personal fitness can be frightening. It makes you take a long, hard, uncomfortable look at yourself. Most people are unwilling to face the truths about fitness. They are unable to confront their fears, so they end up as great dreamers but poor action takers. I believe this is why they fail to stick to long-term health and fitness plans. The truth may hurt, but by embracing it, you give yourself a clear head start to plan well and succeed. It gives you the best platform possible to keep you pushing towards the worthy goals you set. When you know what you’re dealing with, you can incorporate wise, sensible actions to reach those goals, and in order to establish the truth, we need to first assess. 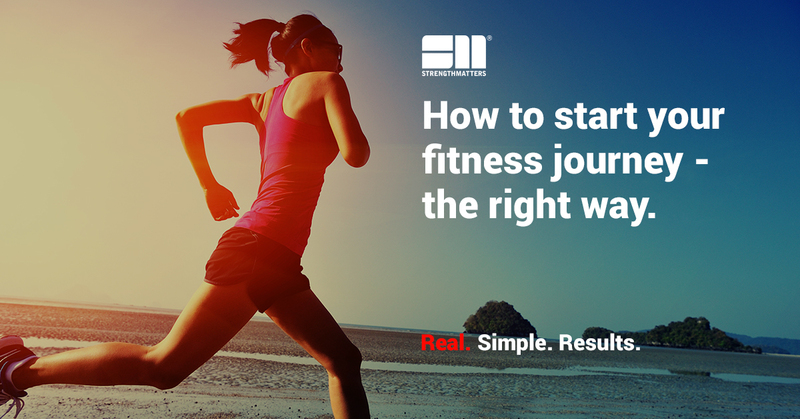 Truth is the catalyst for your own personal fitness success. A proper assessment allows for the truth to be established and determines what your actual starting level is, which more often than not, can be a long way away from what you think it is. Assessment and truth is the foundation for any successful health and fitness plan. 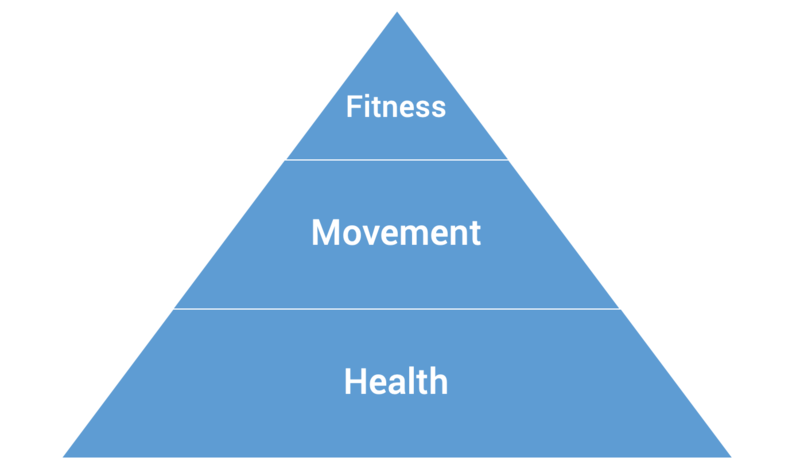 We approach assessment from three different angles: health, movement, fitness. In short, a healthful lifestyle provides the means to lead a full life. There are other types of health such as spiritual, emotional, and financial, which all play an important role in our lives and are linked to lower stress levels and mental and physical well-being. However, these tend to be beyond our scope of practice as personal trainers. The healthier the human, the better we can improve upon his or her fitness – up to a point because, remember, elite fitness does not always mean healthy! And with maximal fitness potential comes improved quality of life. When we assess health, we highly recommend that our clients start by seeing a medical professional for a routine health checkup. Our philosophy is the more you know about your own body, the better. In a study published by the British Medical Journal, the majority of obese people in Britain wouldn’t describe themselves as even “very overweight.” In fact, the study found that only 10% of clinically obese people admitted they had a weight problem. This study shows that people may view themselves as healthy when that might not be the case. And, from professional experience, we see this time and time again. Fat loss is important, and collectively, most industrialized societies are likely to be over-fat. The United States, Mexico, and the U.K. are the top three obese nations in the world with 31%, 24%, and 23% of the population older than 15 having a body-mass index greater than 30. Furthermore, carrying a lower body fat is advantageous for many athletes as extra fat weight adds drag and additional resistance that must be overcome. The bottom line is that excess body fat makes health and athletic performance worse. Unfortunately, most people are not aware of this issue and are unlikely to identify with health messages on the subject of weight. It’s why we open the conversation here and find out exactly where our starting point is. In an ideal world, everyone would use a DEXA Scan, or the InBody system to measure these basic metrics; however, it’s not physically, practically, or financially viable for most. From experience, we’ve found that the Withings Body+ is a great home alternative. It’s not perfect, but if people follow the same protocol each time they measure, they get a better than average baseline reading. In addition to these metrics, we also ask for a client’s waist measurement so we can their waist-to-height ratio. The BMI method is not perfect by any means, and in terms of simplicity, we find the waist-to-height ratio gives us a truer picture of overall health. For those unfamiliar with this measurement, your waist-to-height ratio is calculated by dividing waist size by height. 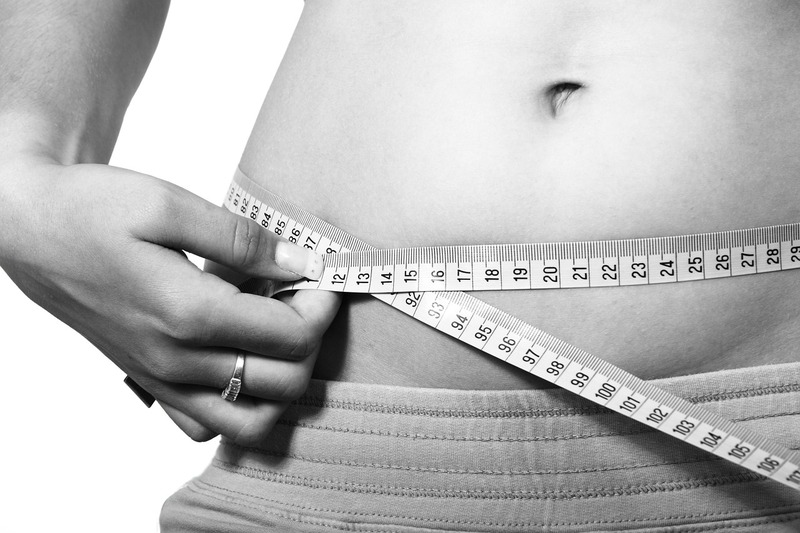 If your waist measurement is less than half your height, you’re likely not at risk for obesity-related disease. Going one step further, we collect posture photos (front and sides) to ensure visual readings are also kept. Once we have all these measurements, we start to see the full body composition picture. Once we have a basic body composition established, we test for resting heart rate, active heart rate, and the Sit and Rise Test. Resting heart rate is one of the easiest, and maybe most effective, ways to gauge your health, and it can be done in 30 seconds with two fingers. It measures the number of heartbeats per minute while you’re at rest. It is a real-time snapshot of how your heart muscle is functioning. It’s easy to do. Place your index and middle finger on your wrist just below the thumb or along either side of your neck, so you can feel your pulse. Use a watch to count the number of beats for 30 seconds and double it to get your beats per minute. An RHR between 60 and 100 beats per minute is considered normal for adults; however, according to Harvard, if you are in the 60 to 100 range, it can increase your risk for cardiovascular disease and even early death. For everyday athletes, we like to see this number between 50 and 60. A 2013 study in the journal Heart tracked the cardiovascular health of about 3,000 men for 16 years and found that a high RHR was linked with lower physical fitness and higher blood pressure, body weight, and levels of circulating blood fats. The researchers also discovered that the higher a person’s RHR, the greater the risk of premature death. Specifically, an RHR between 81 and 90 doubled the chance of death, while an RHR higher than 90 tripled it. In addition to the RHR, we take your ARHR. It’s a great way to measure cardiovascular improvement and your cardiac efficiency. Your Active Recovery Heart Rate is the speed at which your heart rate returns to normal after exercise. Like the RHR, it can indicate physical cardiac condition and the risk of certain diseases. According to the New England Journal of Medicine, people whose heart rate recovery time is long are at a higher risk of death than people with shorter recovery times, regardless of physical condition or other risk factors. People in better cardiovascular condition tend to have lower heart rates during peak exercise and are able to return to their resting heart rate more quickly after physical activity. Not only do we test this to screen for any potential complications, but we record a baseline to see how it improves over time with your new training program. For simplicity, we use the YMCA 3-minute Bench Step Test. Because this is a submaximal test, it requires a low level of supervision to perform the test safely. Set the metronome to 96 beats per minute and turn the volume up loud enough that you can hear each beat. When ready to begin, start the stopwatch or timer and begin stepping on and off the step to the metronome beat following a cadence of up, up, down, down. As soon as you reach 3 minutes, stop immediately and sit down on your step. Perform a manual pulse reading and count the number of beats for 30 seconds. Double the score to get your beats per minute. Record your score and check your results against the data in the table below. The Sit and Rise test is a simple test that assesses a person’s ability to sit and rise from the floor. It has been proven to be a very accurate predictor of mortality risk. Initially developed in the 1990s, one study of subjects between the ages of 51 and 80 found that those who had the lowest score range were 5–6 times more likely to die within the study period (about 6 years) than those in the group with the highest scores. We tend to agree and consider this one of the most important assessments we do. The maximum possible score is 10: 5 points for sitting down and 5 points for getting back up. Use of a hand, forearm, knee, or the side of their leg on the ground, or their hand on their own knee, each results in a deduction of one point, down to a minimum possible score of 0. An additional 0.5 points is deducted if there is an unsteady execution or partial loss of balance. Just these two areas alone can give us valuable insight into how active and sedentary you are and how you’re managing your day-to-day stress levels. The research is mounting, proving that inactive sedentary lifestyles and poor levels of sleep have significant health factors. It’s why we make sure everybody follows WWS and the Triple Seven Rule in conjunction with their individualized fitness programs. The importance of an active, sleep-filled lifestyle cannot be overestimated, and it’s why it’s part of our initial health assessments. The vast majority of fitness beginners who want to start an extensive exercise routine more often than not have less than 5,000 daily steps to their name and sleep considerably less than 7 hours a night minimum. 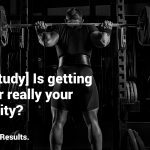 A good majority of active fitness enthusiasts also perform poorly at these assessments, and it can be a good reminder that health is more than just working out. We highly recommend wearing a daily activity tracker such as an Apple Watch, Fitbit, Garmin, or other similar devices. If that’s not an option, most smartphones have the capability to track both steps and sleep, but may not be as accurate. The easiest way to calculate this data is to go into the apps that record the data, e.g., Apple Health or Fitbit, and you can easily find your monthly average sleep patterns and average daily step totals clearly displayed. You may not have been tracking them previously, so the results may come as a surprise. And if you follow our Triple Seven Rule, you should be looking at an average of no less than 7 hours sleep and no less than 7,000 steps. This will give you a quick snapshot of where you currently sit. It may not be pretty, but you’ll be one of the very few people who take the time out to do this properly. Remember, if you don’t know the score, you can’t play the game. This is a great place to start your health and fitness journey because we uncover the truth. But remember, it’s just the start of your fitness. From health, we assess your movement, and then, finally your actual fitness levels. Cherry K. What Is the Dunning-Kruger Effect? What Is the Dunning-Kruger Effect? https://www.verywellmind.com/an-overview-of-the-dunning-kruger-effect-4160740. Christian N. Health: What does good health really mean? Medical News Today. https://www.medicalnewstoday.com/articles/150999.php. Andrews R. All About Fat Loss. Precision Nutrition. 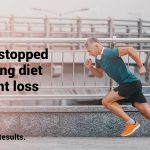 https://www.precisionnutrition.com/all-about-fat-loss.